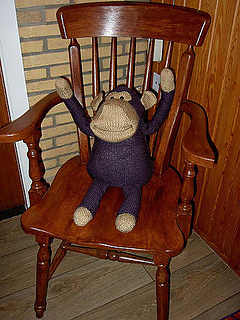 Ravelry: ITV Digital Monkey pattern by Sirdar Spinning Ltd.
ITV Digital Monkey by Sirdar Spinning Ltd. 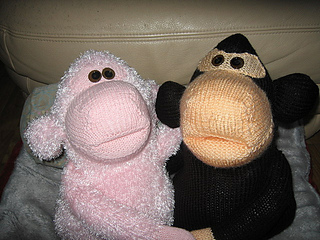 The irresistible Digital Monkey which is spearheading the high profile advertising campaign for ITV Digital has been given star billing in a popular feature in the Mirror magazine. 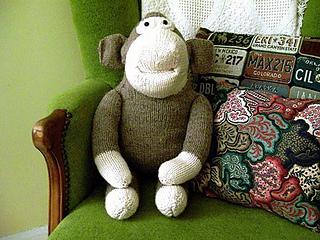 Now you can knit the mischievious monkey by downloading the free pattern. His jacket is knit separately. 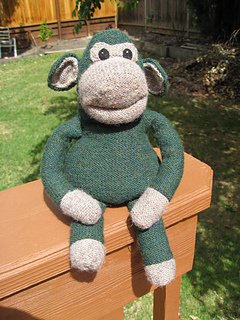 He is knit flat and seamed.